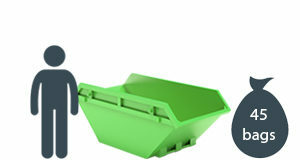 4 yard skips versatile midi skips suitable for many domestic and commercial applications. 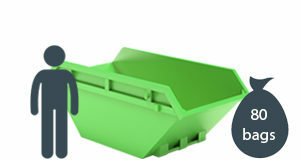 They are slightly larger compared to mini skips, making them a better choice for large garden clearance and some DIY projects. Typical 8 yard skips measure 12 feet long x 6 feet wide x 4.5 feet high (3.66m x 1.83m x 1.37m). They can hold approximately 80 black bin bags of waste.